Join us on Friday, April 29, from 10:00 until 5:30 and Saturday, April 30, from 10:00 until 2:00 and enjoy 20% off your entire purchase. 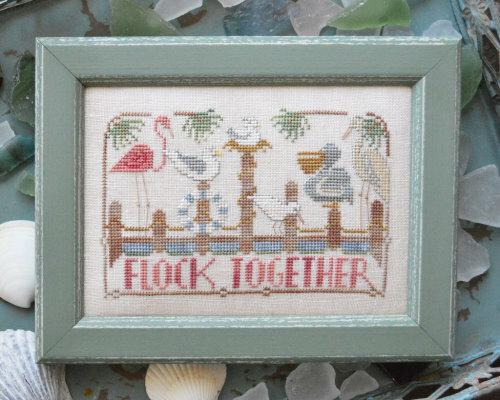 Everything in the shop is included with the exception of already reduced items. Good way to stock up for summer stitching. 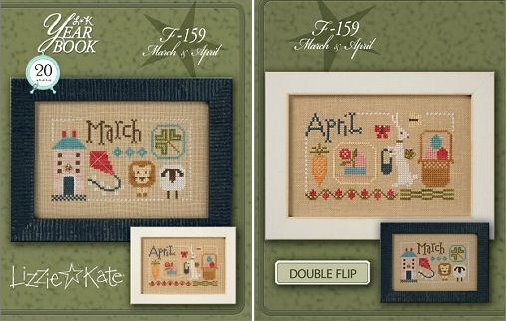 Our favorite designers have been very busy since the Nashville market and we should be receiving many new and exciting projects soon. 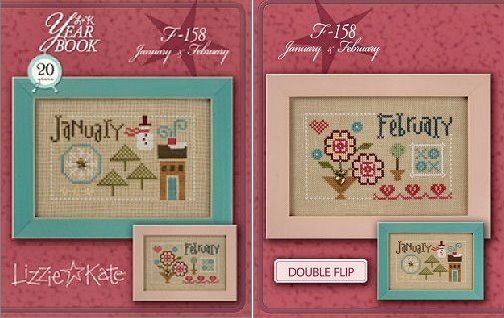 Lizzie Kate has a raft of new items including a series of Yearbook Double Flips which will take you from January through June. 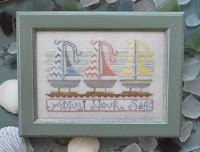 This is Linda’s first monthly series in quite a long while. The Yearbook name is a nod to Lizzie Kate’s 20th anniversary in business. Here are a few Yearbook samples. 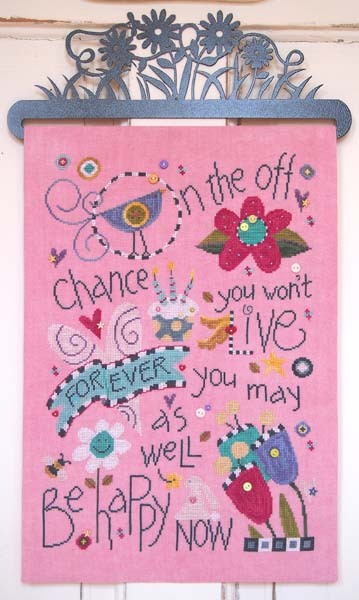 The second section of SamSarah’s three-part Live Happy is here and we are showing you the entire design below. Cute and colorful! 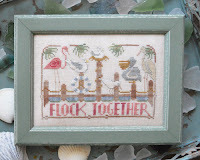 Hands On Designs is offering At The Beach cards – Flock Together and Adjust Your Sails – the latest in a new spring and summer series. 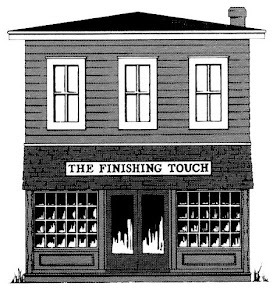 Visit The Finishing Touch's profile on Pinterest.